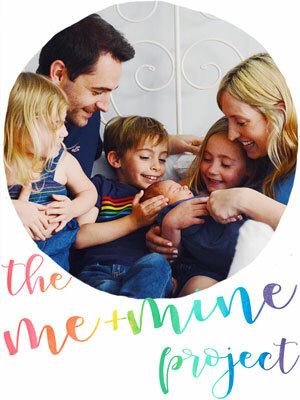 I think that the dating scan is one of those really exciting and scary moments in a pregnancy; it marks a milestone moment where I think it all really starts to become real that you are growing a tiny human inside your tummy. I know that for me it has always been a day that I excitedly look forward to... until the time when the day arrives and I turn into a big bag of nerves. And I was no different this time around. There was the busy usual grind of a Tuesday morning; preschool drop offs, babyballet class, preschool pick up... and then all of a sudden I was guzzling loads of water to fill my bladder to capacity and in the car on the way to the hospital. Having done this a few times before now, Rich knows better than to speak to me in the waiting room. Rich is a talker when he's nervous; he talks all kinds of nonsense to fill the silence. I bottle up nerves and become very, very quiet. At our twelve week scan the first time around we nearly got divorced in the waiting room... so he's learnt to keep quiet, and this time we made the decision that we wanted the children to be able to experience the scan along with us (all being well), so Rich was given childcare duties, while I sat quietly stewing and worrying and playing out crazy scenarios in my head. Then my name was called and it was time. They prefer to complete the initial ultrasound checks without children in the room, and then invite them in later once the really medical part of the procedure is over. So I went into the room on my own, got comfy on the bed, the lights were dimmed, the above bed screen was turned on, I felt that warm jelly on my belly, and then up popped my little Flump, and the sonographer said she could see one little baby wriggling away with a strong little heart beat. I didn't cry at previous ultrasounds, I was overwhelmed with excitement yes, but something felt very different this time. 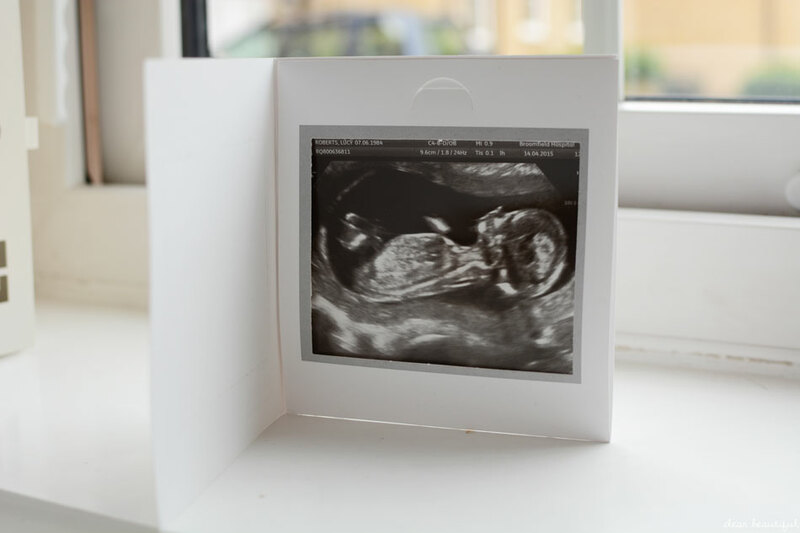 I think that fact that I have been in a funny head space for most of my first trimester, and the fact that I had been feeling so guilty about not feeling very much about this pregnancy all came to the forefront of my brain. And all of sudden I realised how incredibly thrilled I am to pregnant, how incredibly relieved I was to see a healthy little baby growing and moving inside me, and how incredibly silly I had been to be worrying and feeling the way I had. In that exact moment when I caught my first little glimpse of my new baby I felt so utterly blessed that all I knew to do was cry. 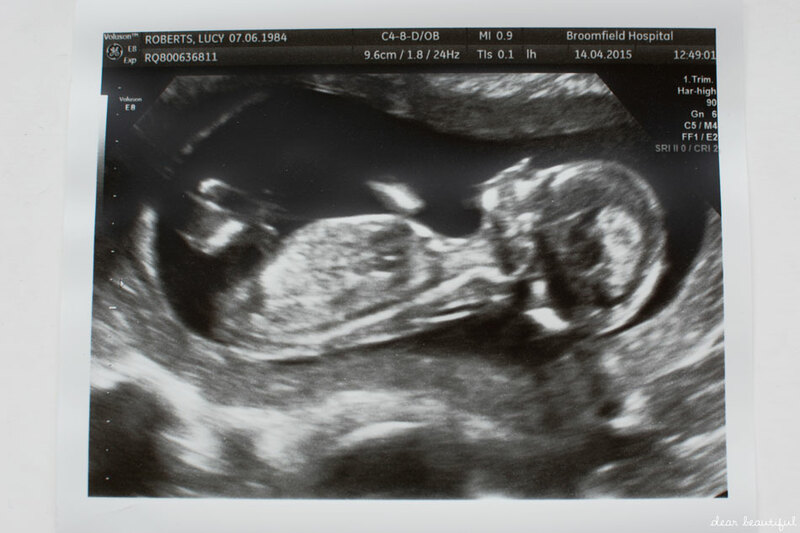 The main role of this scan was to date my pregnancy, and crown-to-rump measurements straight away showed that my midwife's predictions were out by two weeks, and that instead of a twelve week scan this was a fourteen week one. I sat in awe watching my chilled little bub relaxing in my tummy while the monographer did all the necessary checks. Unlike my first scan with Splodge (who would become the beautiful girl) where they struggled to get accurate measurements from a total wriggle pot, Flump played ball like his or her big brother did when he was still Dollop, and just lay there very obediently to be measured, rolled over right when it was needed, and just did the occasional wave for us. Before I knew where I was they were calling my family in, and then it got even more exciting. Both the children looked really concerned at first; to be coming into a dark room to find Mummy lying on a bed with her tummy out. 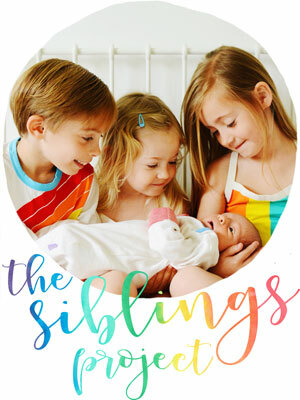 But we pointed them towards the screen overhead and the sonographer flashed up their first little glimpse of their baby brother or sister. Then the words were tumbling out of my mouth. Words I wished I had thought to plan. "That picture up there is a baby, and its growing inside Mummy's tummy." Hearing the lump rising up in my throat, Rich jumped in with "That is going to be a new baby brother or sister for you. Isn't that exciting?" And without missing a second, excited noises escaped from both my big babies. A simple "Wow" with accompanying mind-blown facial expressions from the little man. And "Baby. It's my baby. It's a baby." from our baby mad little lady who just took it all in stride like we tell her that kind of thing every day of the week. And then it was time for me to have another little blub, when my sensitive, caring and lovely little man took a step away from his daddy and sister, stroked my arm and said to me in the most earnest of voices with the most sincere look in his eyes "We're going to take really good care of you Mummy." Then the reactions and questions started. "When will the baby be here?" "Does it come out of your feet?" "Is that an x-ray?" "Why does the baby look grey?" "Does it have any hair?" "Can I see it's eyes?" "Can it hear me?" "Is it's brain big like mine?" And the amazing sonographer answered all sorts of questions that can only come out of the mind of a very inquisitive four year old. She showed him different parts of the baby's body and explained how the scan worked. Rich and I explained to two children already arguing about whether it was a boy or a girl, that you get what you're given with babies and that they are amazing whatever they are. In a word, the whole thing was magic. I am so incredibly glad that we took the children with us. We had wondered whether it would be a good idea, whether it might be a bit manic or confusing for them. But it wasn't. And they both loved getting to see their new sibling wriggling in Mummy's belly. And we loved getting to share that special moment together as a family. It marked a moment of big change.... up until that moment I had still thought of us a four, but ever since I have thought of us as a five. And it is your turn to make me cry. Beautiful and congratulations to you all. The colleague sitting opposite me just asked if I am crying. "No.. 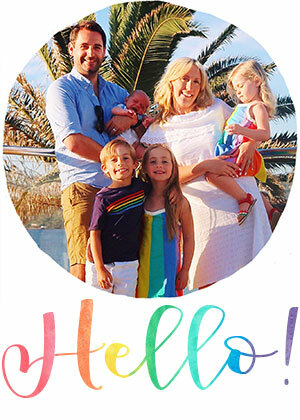 I just have really bad... hayfever..."
Aww what a lovely post and how lovely to have the little ones with you! I've never taken any of mine to my 12 week scans - I'm too deep inside my own fears to be able to parent at the same time - but I have a habit of ending up with extra scans later on and I've taken Kitty to see bump Elma and both girls to see bump Pip and it was always so much fun - although Kitty was never quite convinced that the scan of Elma really was a picture of Elma! Oh my I had tears how very special for you. My third pregnancy scans were always rushed as had a baby with me who hated them. I think third pregnancy your busy with other kids its just not a thought really. Oh hello little Flump. *waves I can't wait to meet you. I guess this means I best have a third so that you have a little friend too when you all come to play at ours. lol Great excuse to tell Mr P he has to have another. hahahaah So cute. I love scans and how exciting it is after you have seen and heard them on the screen. Lovely post Lucy. Awwwwwwww, congrats!!!!!!! I was about to cry just reading this. We are expecting Baby #3 too. It's so exciting but I think also that we are just too busy with 2 kids at first for the news to sink in. It didn't really hit me we were having a real, live third child until I saw the sonogram as well. Aw how lovely. Bet it was very emotional! Your two are going to be ace big siblings.